an installation made of a series of silicone rubber sheets supported by a collection of minimal wooden stands. These sheets were produced by painting layers of liquid silicone molding rubber onto a wall surface and then removing the cured material from the wall to create the objects within this gallery. 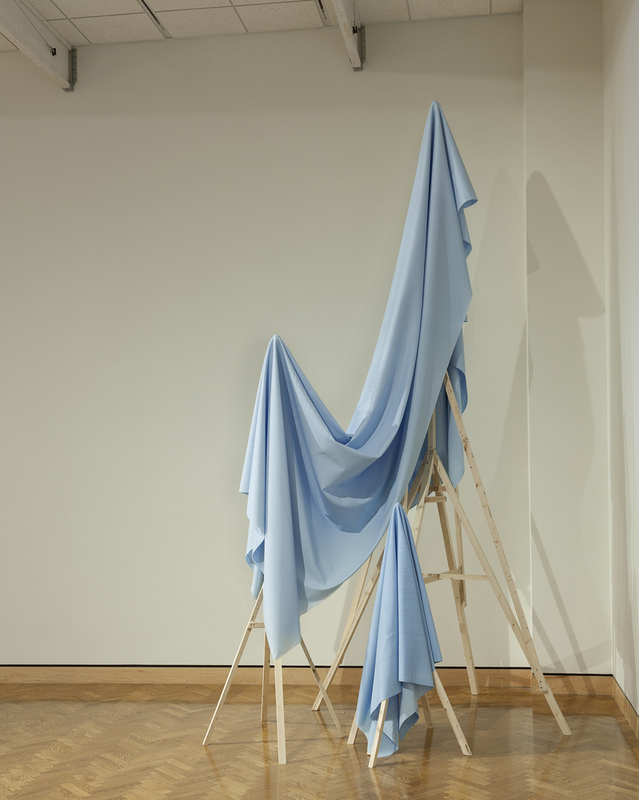 1352 square feet of sky blue sheet material was produced to equal the dimensional area of gallery 264 within the Minneapolis Institute of the Arts. Interview with Jehra Patrick for the Walker Arts blog. Brochure with text by Mariko Nagai. KUMD radio interview with Maija Jensen.